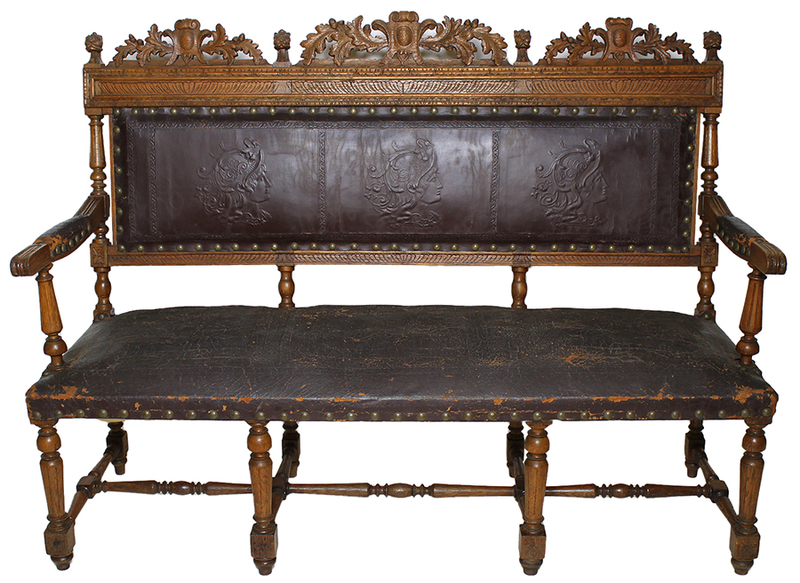 A Fine and Rare Italian 19th Century Baroque Style Oak-Carved Settee. 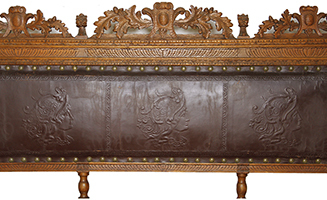 The three-corps settee with an embossed leather backrest with figures of maiden wearing a helmet, carved figural corners and an ornamental crown. Circa: Florence, 1880. 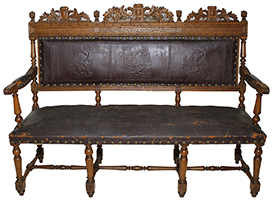 Note: This settee is part of a sixteen piece dining suite, however it may be sold separately. 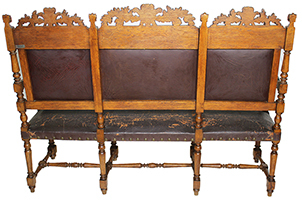 Please click here to view the rest of the dining suite.